Hello everyone, my name is David Loder, long-time reader, first-time PFE blogger, based out of Detroit, Michigan. And I have a confession to make. I hate servers. Or more precisely I hate logging in to servers. 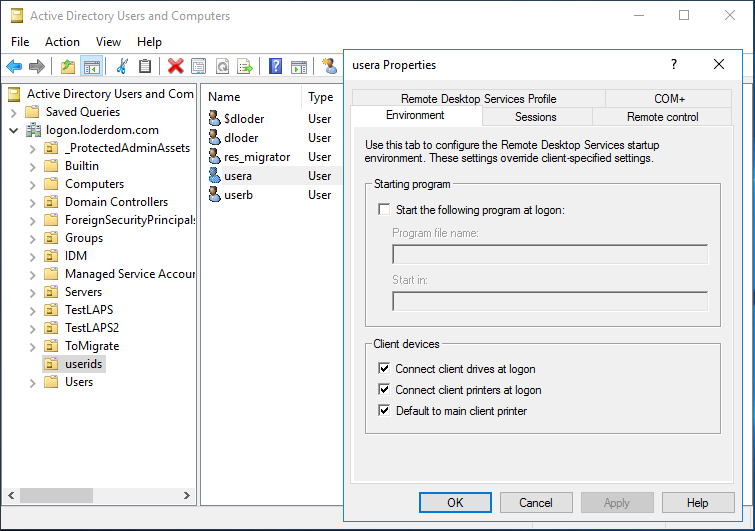 If you’ve been administering Windows Server for any length of time, you’re hopefully aware of the Remote Server Administration Tools (RSAT) package. 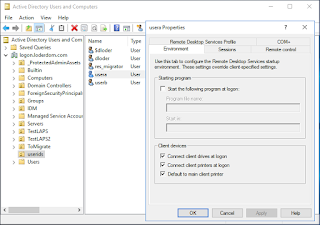 RSAT provides the server management tools for the Windows client Operating Systems like Windows 7 or Windows 10 so that you don’t have to RDP into a Domain Controller just to run the Active Directory Users and Computers GUI. The RSAT package is OS specific. There is a different package for each client OS that corresponds to the matching server OS. There are links to each of the packages from the main RSAT Knowledge Base article at https://support.microsoft.com/en-us/kb/2693643. If you are a typical enterprise customer you’ve most likely been running Windows 7 as your client, and are just now starting to explore Windows 10. Because of the OS specifics, RSAT for Windows 10 is tied to Windows Server 2016. The Tech Previews all had a preview version of RSAT available for them. Since Windows Server released, only the RTM version of RSAT for Windows 10 is available for download. On the download page, you’ll currently see it as v1.2 with the WindowsTH-RSAT_WS2016-x64.msu name or WindowsTH-RSAT_WS2016-x86.msu if you’re planning on running 32-bit Windows 10 for some reason. I’m personally surprised we’re still making x86 versions of RSAT available. The first caveat you’ll hit is that Windows Server 2016 RTM corresponds to Windows 10 build 1607, also known as the Anniversary Update. If you are running one of the earlier releases of Windows 10 (builds 1511 or 1507), many of the RSAT tools from the current v1.2 download will not work. For example, if you open Active Directory Users and Computers and look at the properties of a user, most of the tabs will be missing, including the General tab. Instead you’ll get a view that looks like this. Or if you open the newer Active Directory Administrative Center, then try to open a user’s properties, the console will crash. To avoid these problems, you must be on Windows 10 build 1607. When you upgrade from an earlier build to 1607, RSAT will not remain installed. You’ll have to reinstall after upgrading. And you’ll be treated to the expected results within ADAC and ADUC. One nice thing about RSAT for Windows 10 is that you no longer have to enable the tools after installing the package. All the tools are automatically enabled. Windows 7 required installing RSAT and then remembering where to find the GUI to enable the tools. This behavior is back to how Windows 2000/3 worked. It was re-introduced with RSAT for Windows 8, but I can count on one hand the number of admins I’ve seen running that platform in the field. You may notice a few differences from previous iterations of RSAT. Hyper-V is now built in to Windows 10, so the Hyper-V tools are their own features to be turned on or off and are not part of RSAT anymore. The DCB LLDP-Agent Management Tools includes the NetLldpAgent PowerShell Cmdlets. The Shielded VM Tools includes the Provisioning Data File Wizard and the Template Disk Wizard. To find out more about how these tools help create Shielded VMs you can read Dean Wells’ blog post on Creating Shielded VMs Step by Step. Finally, the Microsoft Azure Services tool is simply a link to get you started with understanding the Operations Management Suite. If you’ve gotten your RSAT fix for now, and are wondering what’s next, you might want to spend some time reading up on Microsoft’s next generation of server management tools. We now provide an Azure-hosted management portal called Server Management Tools. It uses a gateway located on-premise to proxy between your on-premise servers and Azure so that you can securely administer your servers from anywhere on any device. Look through their blog at https://blogs.technet.microsoft.com/servermanagement if you want to know more. Since I changed employers last year and became a Premier Field Engineer (PFE) with Microsoft, I've been torn about where to continue my posts. I've decided to continue posting here for the ordinary things I want to document for the search engines, and on the Microsoft properties for when I have something really worthy of the PFE platforms space. So to that end, my first PFE post went up today. I'll cross post here just so that I have my own copy of it as well.